The profits of the war on drugs is immense. And the power of propaganda is supreme. Although irrelevant to modern motivations to maintain a war-on-drugs, The Marihuana Tax Act (1937) was one of the first steps towards undermining one of the world’s most highly productive and competitive crops. Today there is no tax on cannabis since it has been forced into the black market, and some people today endorse the return of the tax in exchange for re-legalization. But for the industries and motivations that follow, we’ll see that tax is the least profitable reason to maintain the prohibition and discrimination of cannabis-hemp. The drug-war is in fact rooted in racism. Due to the Mexican revolution of 1910, many Mexicans poured over into America. This caused cheap labor in large farms, which hurt small farmers. This caused tension against the immigrants. Racism stirred, but it was another cause that started the string of prohibition that started in the western states. The first (major) introduction of marijuana into the United States was by Mexicans (hence the name ‘marijuana’). The first prohibition was in the state of Utah in 1915. This was actually the response of the church, who’s influence was as good as power over the state’s laws. They were unhappy for the fact that it was affecting their Mormon missionaries. 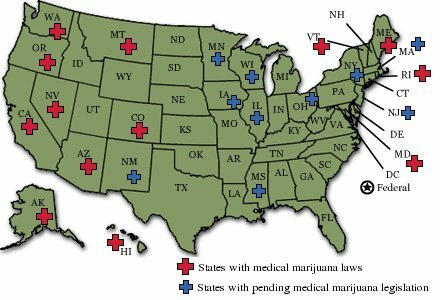 Over the next eight years, ten states had anti-marijuana legislation. From 1920 to 1933 the government attempted to keep a prohibition on alcohol. At least then, they did it properly and ratified the 18th Amendment. But prohibition didn’t work, as it was then sold on the black market and caused more problems than it was when alcohol was legal. Perhaps it was then that some realized that prohibition has profitable benefits. Some consider marijuana ‘the anti-drug’ due to the fact that, with some, alcohol and other drugs and disfavored, and people are pleased by their use of marijuana alone. Without a doubt, legal marijuana would cause the decline in the alcohol industry. Hemp as a fiber industry was used to pay tax in the early years after the American Revolution and was also used to help win the second World War. Despite this, hemp has been discriminated against for the sake of the cotton industry and the industries that support it. Because cotton requires pesticides, herbicides, and extraordinarily more work than hemp, which produces triple the amount of fiber per acre, investments can be made in these other industries – which would have been threatened by hemp, which requires none of them. In other words, hemp is so amazingly self-sufficient and useful that it out-competes all other fiber crops. For thousands of years, cannabis flowers have been used as treatment and even cure for a multitude of diseases and illnesses. Cannabis is not only a natural drug – requiring no industrial motivations – but people don’t even have to buy it because they can easily grow their own. If this were allowed, this versatile medicine would ultimately outgrow and replace many of the modern, synthetic, designer drugs that populate the market today – it cost the industry millions in profits. Most people today are still unaware of the ‘prison industrial complex‘. The prison industry has become one of the largest, most profitable and growing industries in the United States – which keeps more prisoners than the rest of the world combined. A majority of these American prisoners are incarcerated for ‘drug crimes’, many of which are only non-violent marijuana users and distributors. If marijuana became legal and these non-violent ‘offenders’ were pardoned, it would harm the prison industry. Paper and wood can be made from the hemp stalk. These materials can be used to build more affordable and eco-friendly homes than wood. Though the quality of hemp fiber-board is possibly less-than than of quality woods, its economic benefit to the consumer is so huge that it would strike a powerful blow to the forestry industry. Criminalization of hemp came also with the help of DuPont – a gunpowder and chemicals company (i.e. they invented CFCs) owned by one of the most powerful families in American history. Hemp paper threatened DuPont’s monopoly on the necessary chemicals for paper from trees, and Nylon, a synthetic fiber, was patented the same year that hemp was made illegal. Hemp does not require DuPont’s chemicals to produce paper, and out-competes paper fiber that comes from trees. And let’s not forget William Randolph Hearst, a leading newspaper publisher in the 1930s who had significant financial interests in the timber industry, which manufactured his newsprint, and was threated by hemp. The military industrial complex is, basically, the complex of companies and corporations that profit from the military and war (i.e. making bullets, bombs, armor, etc.) And like all businesses, they need war to make sales and profits. The endless war on drugs in Colombia is the ultimate example. Afghanistan suffers a similar fate (but here the war is for multiple ‘benefits’) – these are probably the two best examples of how the drug trade has been an excuse for the U.S. military to invade and intervene. Though it is true that the profits of these drug cartels may be used to finance ‘terrorist organizations’, this is a poor argument when considering the fact that the drugs wouldn’t be so profitable if they weren’t restricted by the black market. A notorious fact is that the American Government hypocritically funds terrorist organizations such as the AUC in Colombia at the same time as claiming to be fighting it. If police or other law enforcement ever wanted an excuse to invade or prosecute – the drug-war easily creates that opportunity. Marijuana users, being in the millions of people in America, and especially being among the poor and minorities, authorities can fairly easily gain the power to arrest almost anyone they please. The drug-war, despite its decades of fighting citizens and spending hundreds of billions, will never be ‘won’. Instead of regulating drugs, they have been forced onto the black market. Fear of prosecution, the danger of black market dealing, the multitude of middle-men necessary, and many other reasons cause the prices of drugs to inflate exponentially. Drug profits are then seized. Where does this money go? It’s certainly not destroyed. And the drugs themselves – some is destroyed, but some also speculate that many drugs seized are re-circulated in the black market to regenerate the profits that can be seized. While millions of Americans resent the high fuel prices and seek alternatives to the crude-oil industry, they are also greatly unaware of the potential for hemp to satisfy the needs of bio-diesel, ethanol, plastics and even car parts. In fact, in the 1930s Ford made and fueled a car almost entirely from hemp products. With such a powerful competitor, the crude oil industry could have never gained the power it demonstrates today. Once again DuPont – having patented the processes for creating plastics from coal and oil – was at risk with hemp being a more viable source for making plastics. Contemporary with the hippie-sixties, cannabis smoking has become associated with free thought and opposition to government control. And for the most part, this is true. One of the most prized characteristics of this drug is the effect of detachment: from the propaganda and the lies and the many illnesses and hypocrisies that plague American life. The war on drugs has outgrown and outstretched its ability to profit, and cannabis enthusiasts are among those who are most aware of the facts. With millions of Americans under prosecution, for the sake of an illegal war on the citizens, the only benefit of the drug-war has been to raise awareness of injustice and the many other injustices of the federal government.